This spacious 2-Level Condo Unit features vaulted ceilings. Enjoy a glass of wine in front of your cozy fireplace. Two bedrooms one up and one down for privacy. Enjoy the Sunset from your balcony that over looks the pool.This home is a short distance from the beautiful pool and spa for your enjoyment, heated in the winter months. 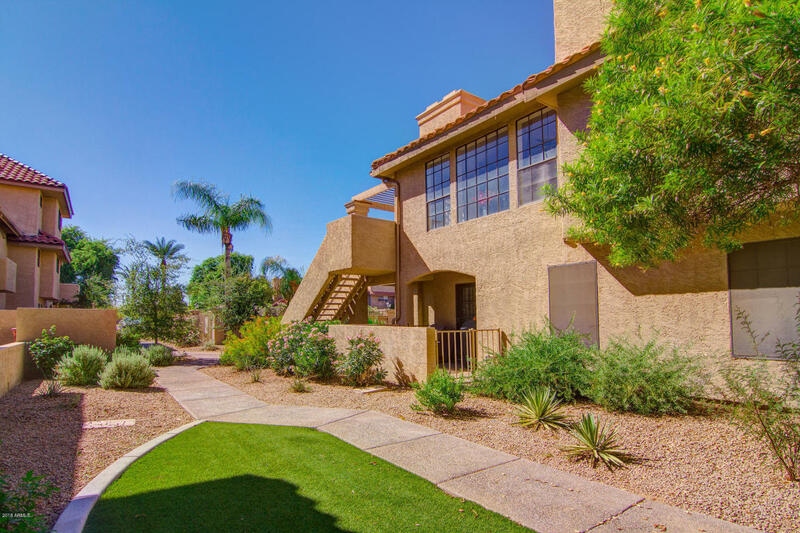 The community borders the Scottsdale greenbelt, perfect for biking, running and more.Prime South Scottsdale Location, minutes from Downtown Scottsdale and all it has to offer. Easy access to Sky Harbor Airport, ASU and Spring Training Facilities. You can catch the Scottsdale Trolley or a bus around the corner. The community is currently being repainted which gives the condos a fresh look. Premier Location!! HOA Includes Water!